Men’s national team coach Patrick Fischer will take three goaltenders, eight defencemen and 14 forward to Korea. 17 of the nominated players were on the roster for the 2017 IIHF Ice Hockey World Championship. “With Leonardo Genoni, Jonas Hiller and Tobias Stephan three of the currently best goaltenders from the domestic league with international experience are on the roster. On defence we build on skilled and experienced defencemen and complete forwards who work well both offensively and defensively and stand out one-on-one,” Fischer said. All 25 players join from clubs from Switzerland’s National League. 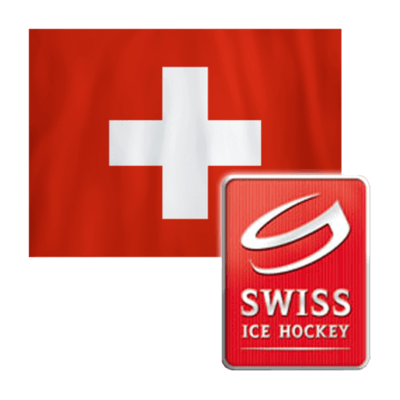 Switzerland will host a pre-competition game on 6 February against neighbouing country Germany in Kloten before travelling to Korea the day after where they will have a four-day camp in Goyang near Seoul and play another exhibition game on 11 February against Norway. At the Olympic men’s ice hockey tournament Switzerland is seeded in Group A with Olympic champion Canada, the Czech Republic and host Korea. The Swiss women’s national team, which won Olympic bronze four years ago in Sochi, includes three goaltenders, eight defenders and 12 forwards. 19 players were part of the team that competed in the 2017 IIHF Ice Hockey Women’s World Championship. For goaltender Florence Schelling and defender Nicole Bullo it will be the fourth Olympic Winter Games. They have competed in all Olympic women’s ice hockey tournaments since Switzerland was qualified for the first time in 2006. Two players join from U.S. college teams while four play in Sweden including two key players for Linkoping. Goaltender Florence Schelling was named MVP and Best Goaltender of the 2014 Olympic women’s ice hockey tournament and Lara Stalder was Switzerland’s top scorer in the Olympic Qualification. “We bring a team with a lot of character and spirit that has a lot of experience and leadership on and off the ice. We have three strong and experienced goaltenders, a very stable defence and a lot of speed and creativity up-front,” said national team head coach Daniela Diaz, a former national team player herself whose brother Raphael will compete in PyeongChang 2018 with the men’s team. The roster includes five sisters. The Waidacher sisters Isabel, Monika and Nina, and twin sisters Laura and Sara Benz. The women’s team will travel to Korea on 1st February and during a five-day camp in Goyang play exhibition games against Canada on 4th February and against Finland on 6th February. Switzerland will play in the “bottom” group B against Sweden, Japan and Korea and aim for one of the two spots from the group in the final round.